1. 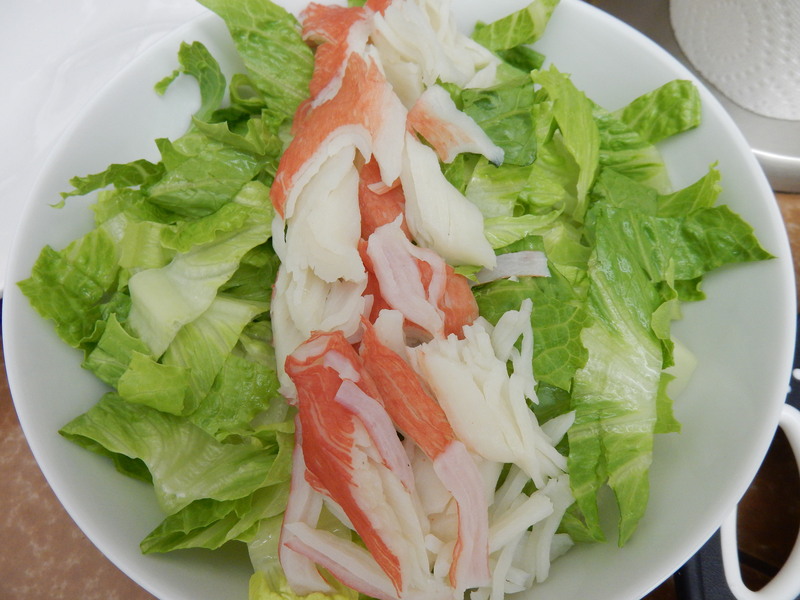 Begin by creating a layer of lettuce on your plate topped with 6 ounces lump crab meat. 2. 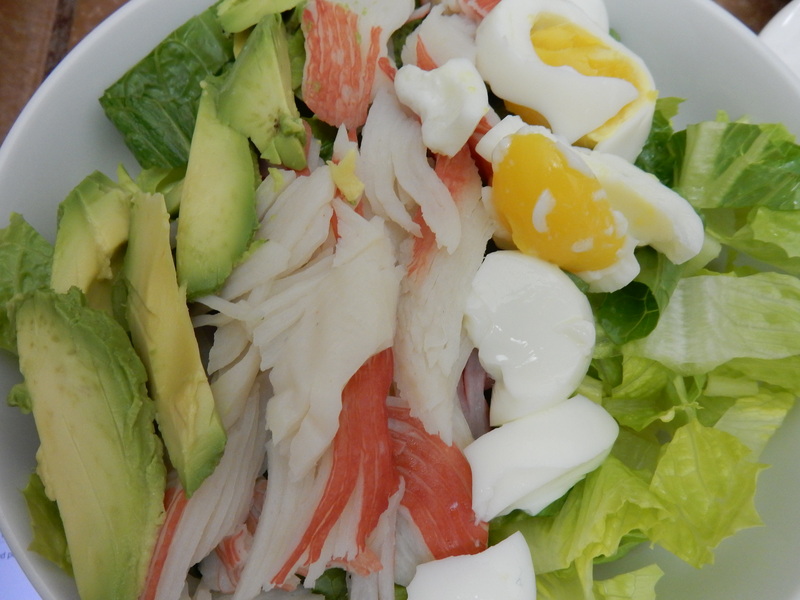 Add 2 sliced hard boiled eggs, half an avocado (sliced), 1/2 cup of light mozzarella cheese, 1/2 cup of chopped grape tomatoes, and a 1/2 cup of chopped scallions. 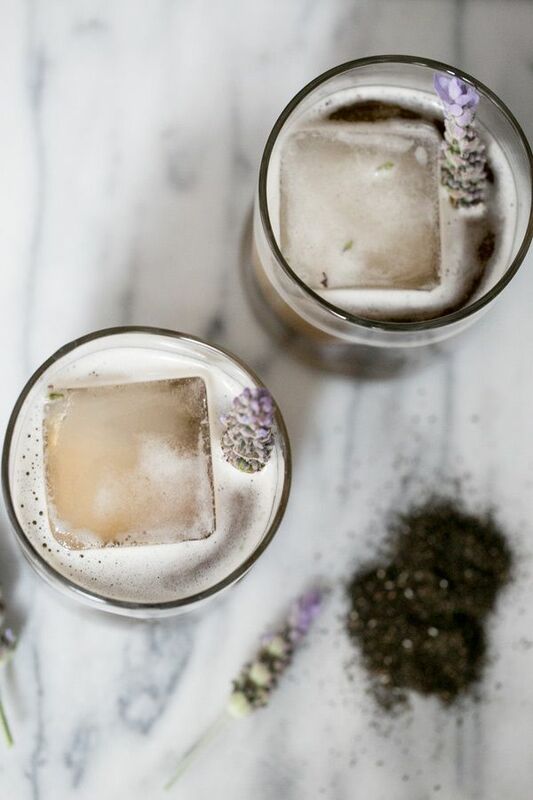 Create neat rows of each of these ingredients to make it look like the photo above. 3. 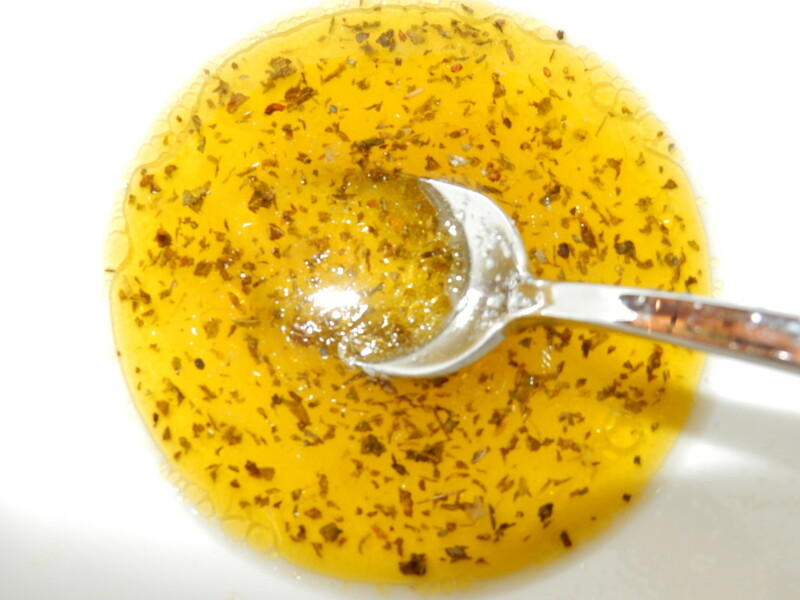 Blend together 1/3 cup olive oil, 1 tablespoon dried basil, the juice of 1 lemon, 1 clove minced garlic, and salt to taste to create a light lemon basil vinaigrette. 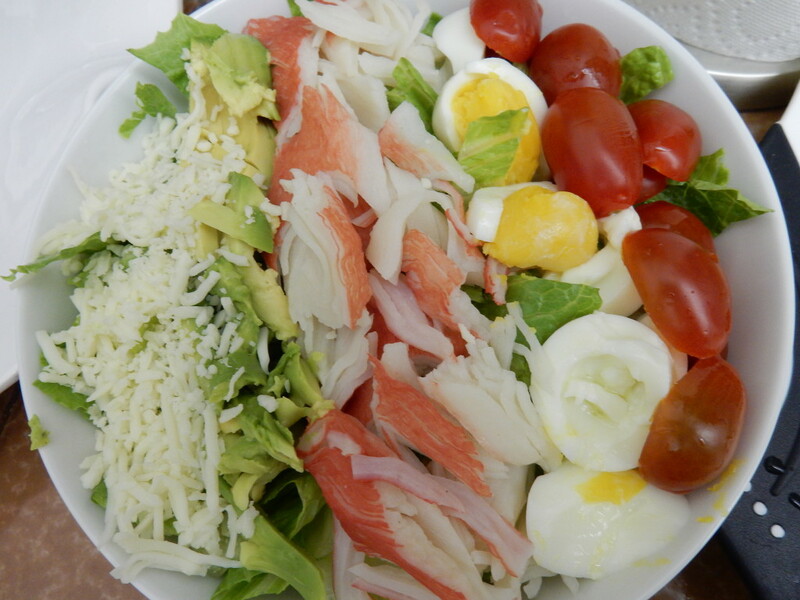 Pour over the top of your salad and enjoy! In our Pining for Pinterest posts, we prepare our readers for the upcoming season with interior shots alongside decor and event details in a fresh, new color story and overall look. Please enjoy as we take you through our Spring inspiration in our own distinct styles. Tami’s Pins: What’s “pin”spiring me this season? The color gray in many different shades … fifty to be exact! In fact, the color gray has been very much in style for the past several years and it doesn’t seem to be going away any time soon. 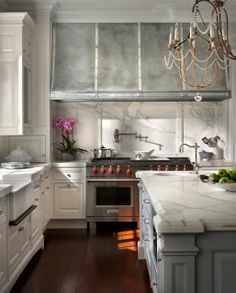 A fresh coat of gray paint does wonders to enhance an interior space. 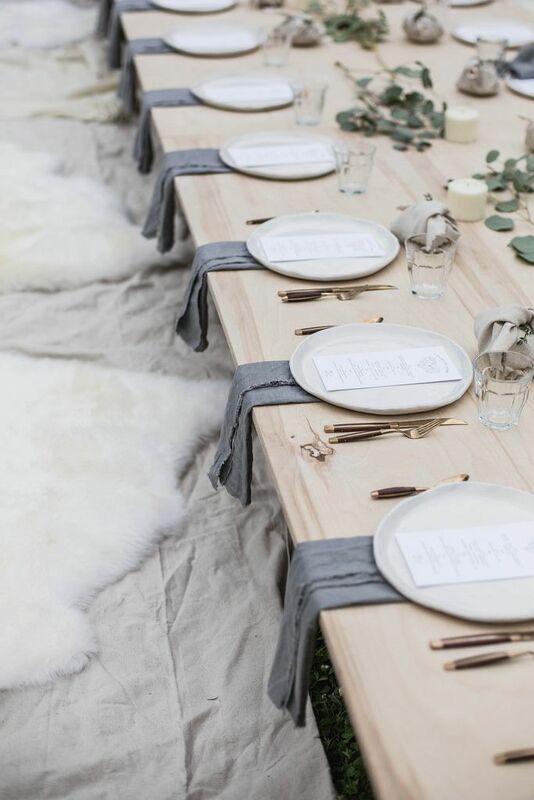 We picture this inspiration as the look for a more intimate engagement party with lots of personal touches and different shades of gray. 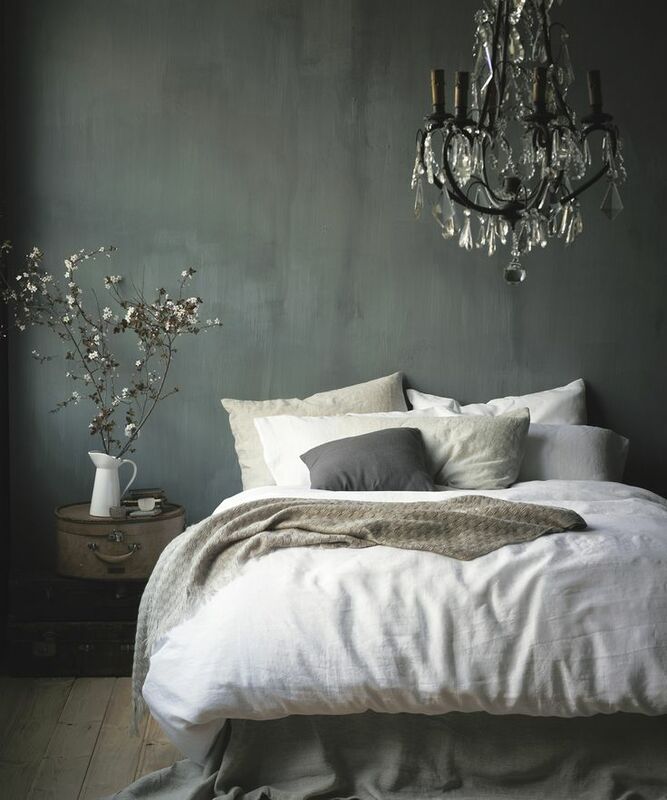 How many shades of gray are in this bedroom scene … fitting isn’t it? Just in the wall alone there are many. A gray painted island makes a statement in this chic space. One long table allows for all of your guests to interact, and sitting on the floor gives them something to talk about. 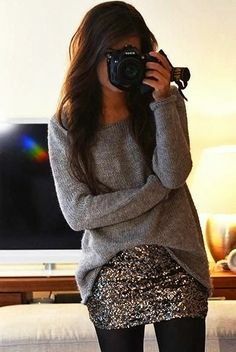 Loving the mix of soft knit and sparkle in different shades of gray, of course. 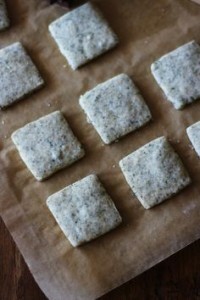 … and why not have some earl gray shortbread squares as well? 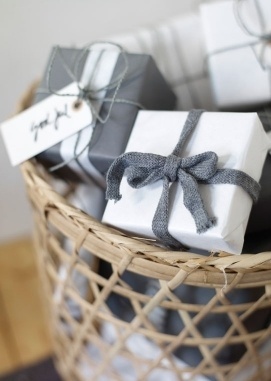 Just because you are getting married doesn’t mean you can’t give your guests a parting gift! Lauren’s Pins: What’s “pin”spiring me this season? The 2015 Pantone Color of the Year … well not really. In fact, it is pretty underwhelming. Don’t you think? 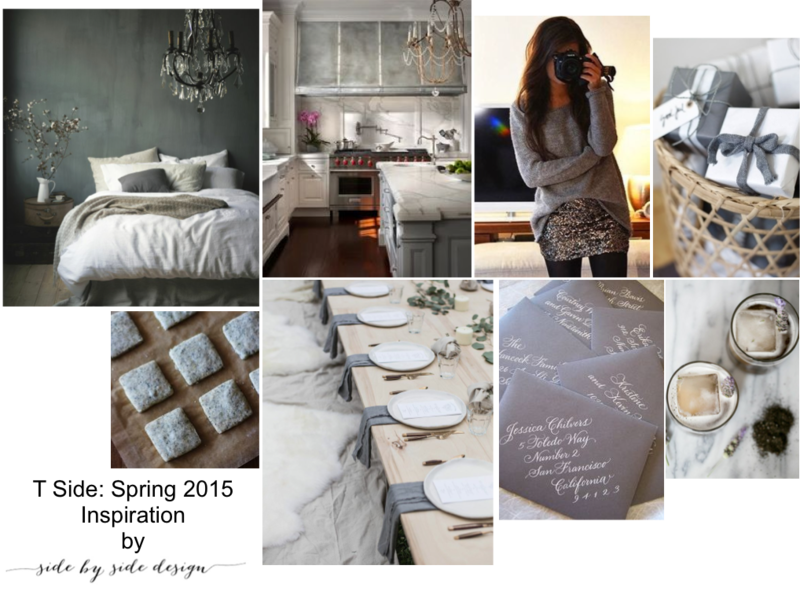 I actually just had to prove to myself that the color I originally thought was so blah could be beautiful when used correctly, and thus this inspiration board was born! 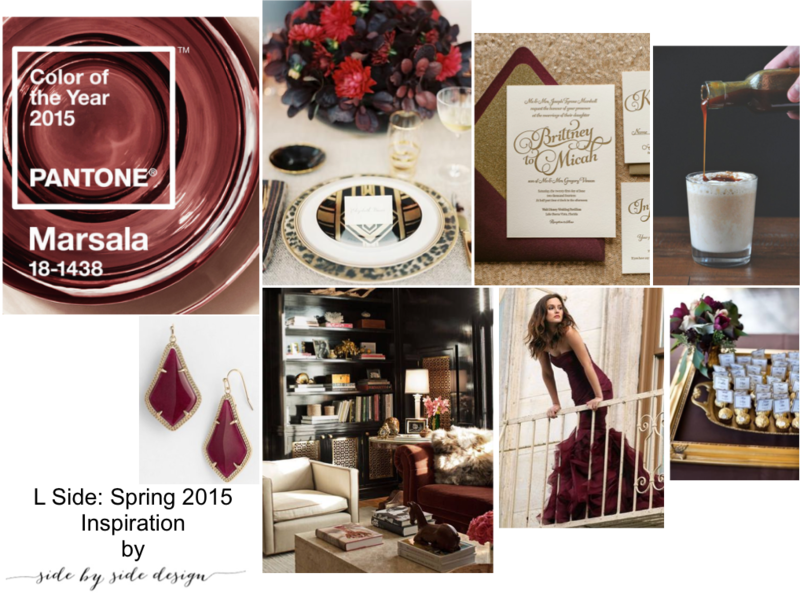 A little marsala here and there with touches of gold and black really is quite nice. 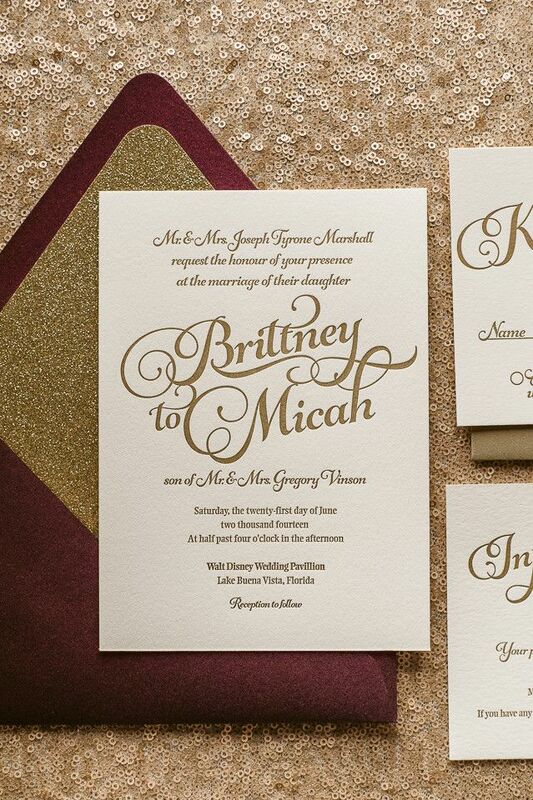 I love the idea of incorporating this color scheme into a vow renewal party. It’s unique and classy, and not at all boring like I originally thought. 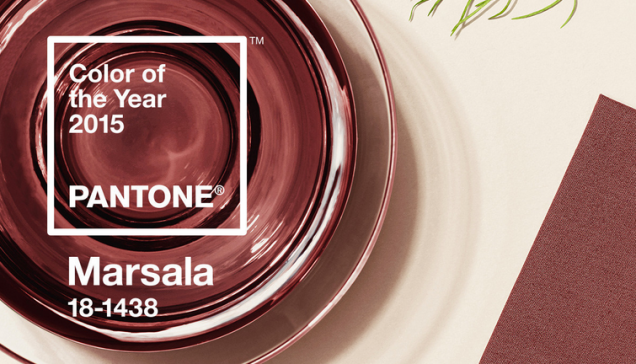 The Pantone Color of the Year is marsala. A marsala colored sofa fabric is rich and really warms up this space. 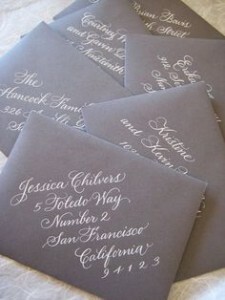 A simple invitation is dressed up with a colored envelope and a bit of sparkle. I’m literally obsessed with this picture! 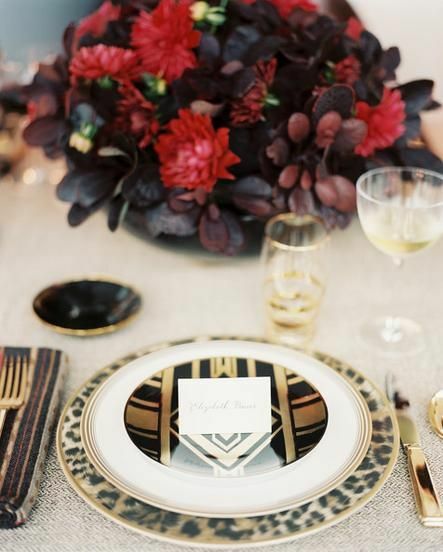 The patterned plate, a touch of leopard, the gold flatware, and the incredible florals … it’s perfection. 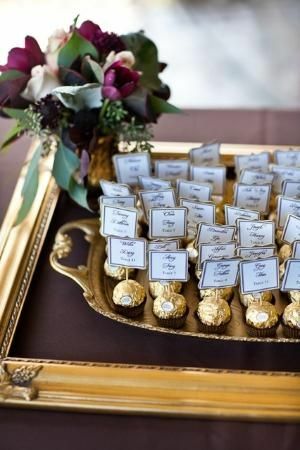 A marsala colored table cloth and a frame used as a tray are almost as creative as using chocolate for displaying table seating arrangements. 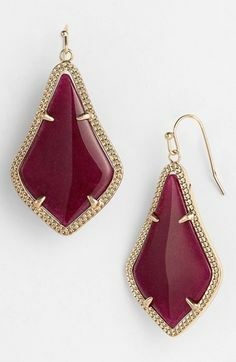 … and if you are not that daring, you could always wear statement earrings with your white dress. 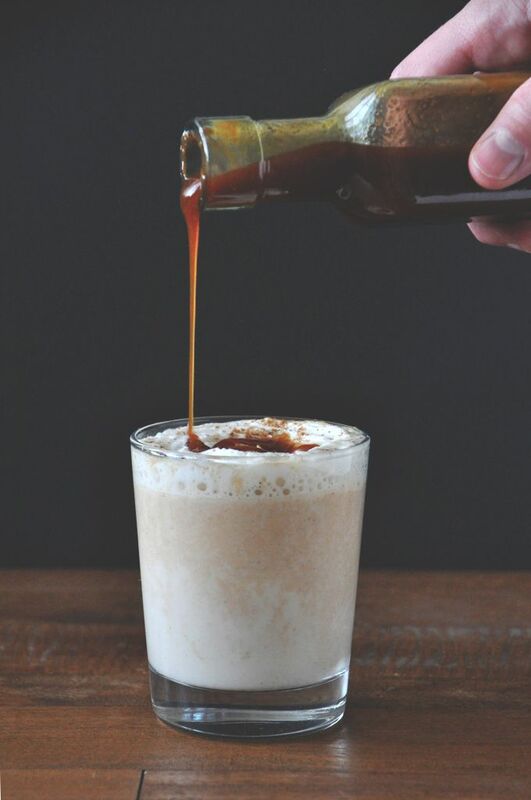 Boozy white hot chocolate … this looks amazing! We look forward to all that is coming up this season and even possibly using some of this inspiration in our own planning. We would love to work with you in creating the right look this Spring by tying in the inspiration of your event with the essence of your home decor. Contact us at info@sbsdesignla.com for more information. In our previous post, Under Construction: Eclectic Zen Courtyard, we shared a space that anyone would dream of having. Certainly, Lauren dreamt of designing a place like this some day. A space that every member of the family could enjoy in their own special way. At first it seemed simple; put in a TV, a sofa, and a fireplace just for fun … an outdoor living room is made. The homeowners knew that their team of professionals would take their small requests to the next level. When designing any space, we aim to design every single aspect from start to finish keeping in mind what will make a space beautiful and function properly. 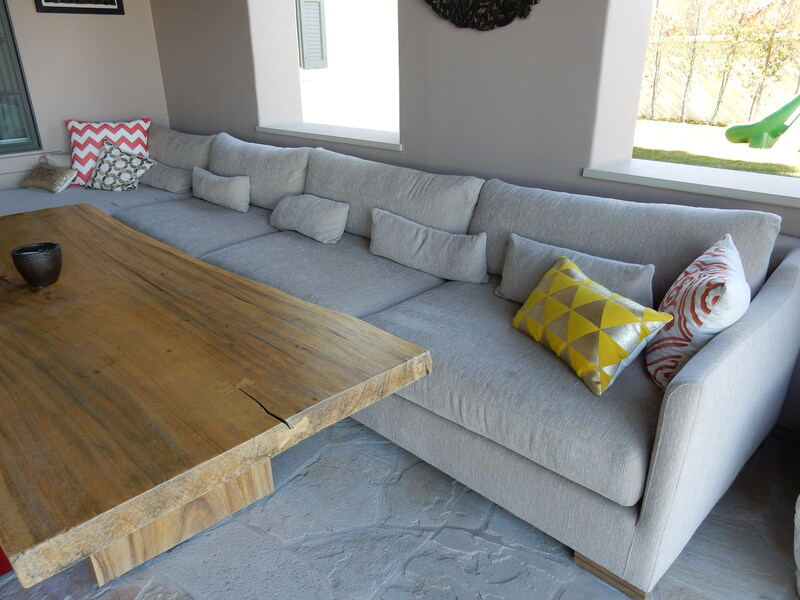 This gorgeous sofa was custom made to fit this space by Cisco Home. We selected an amazing Sunbrella fabric that is made for the outdoors but definitely doesn’t feel like it. We closed off the two arches behind the sofa to create window openings and gave each ledge a stone top to create console tables in which to set a drink while you lounge. 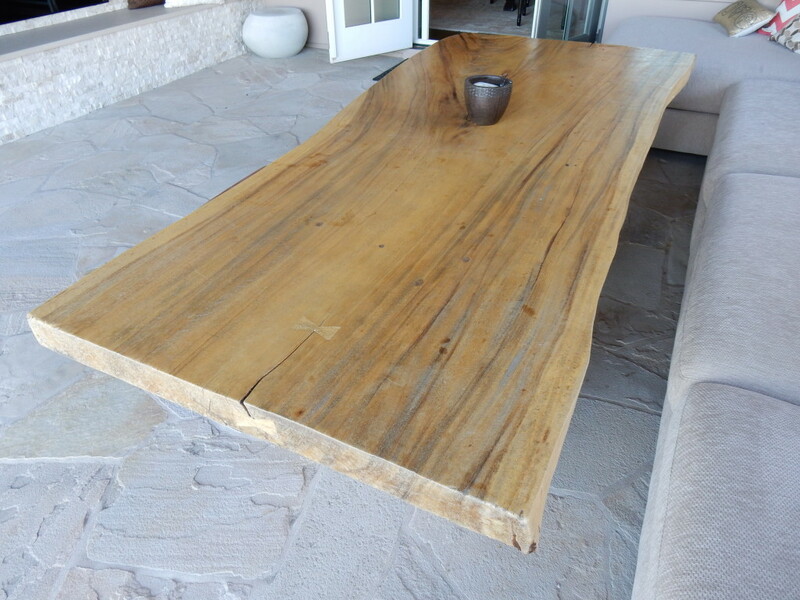 We are absolutely in love with this gorgeous live edge table made by our dad. We just love how it gives the space an organic feel and its size gives enough room to eat a full meal. Fun patterns and a few Asian details add a pop of color and a zen feel to this room. We decided to go with a wood paneled ceiling with a bit of a rustic texture to remind us that we are outdoors. 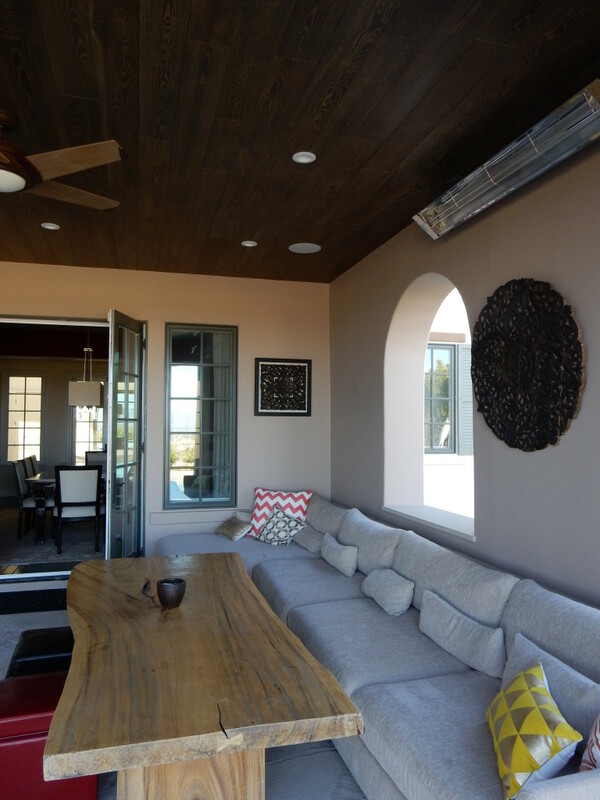 Because it is an outdoor space, we included a ceiling fan for those hot Summer days and a high powered space heater for cooler Winter nights. Recessed lighting and speakers were also included in the ceiling plan and helped to enhance the space. 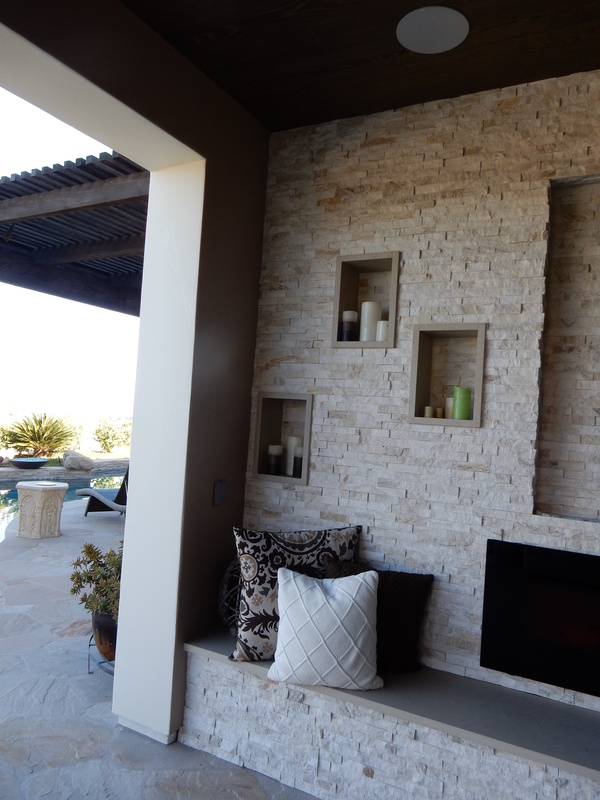 We selected this stone to complete the TV wall, to give it texture, and to tie it into the rest of their outdoor areas. 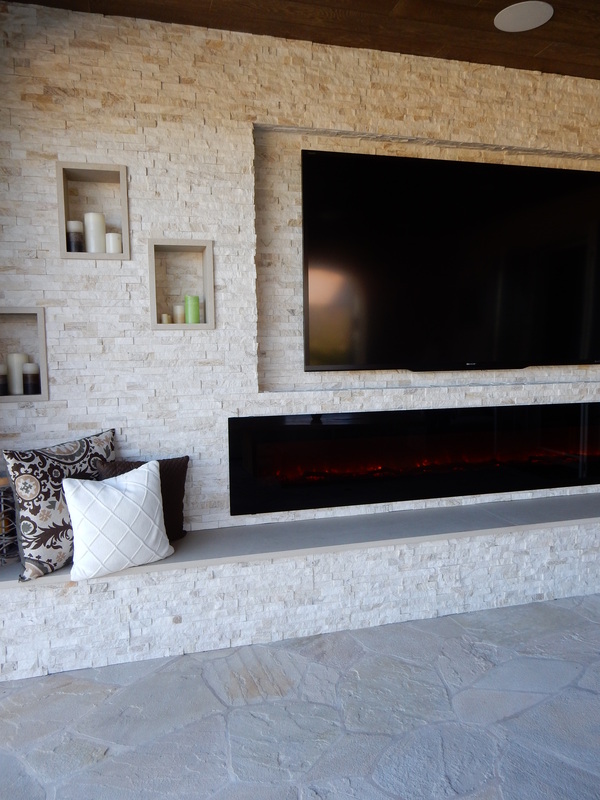 We created a niche for the TV to sit in as well as these stone clad boxes to hold candles giving this space even more ambiance. 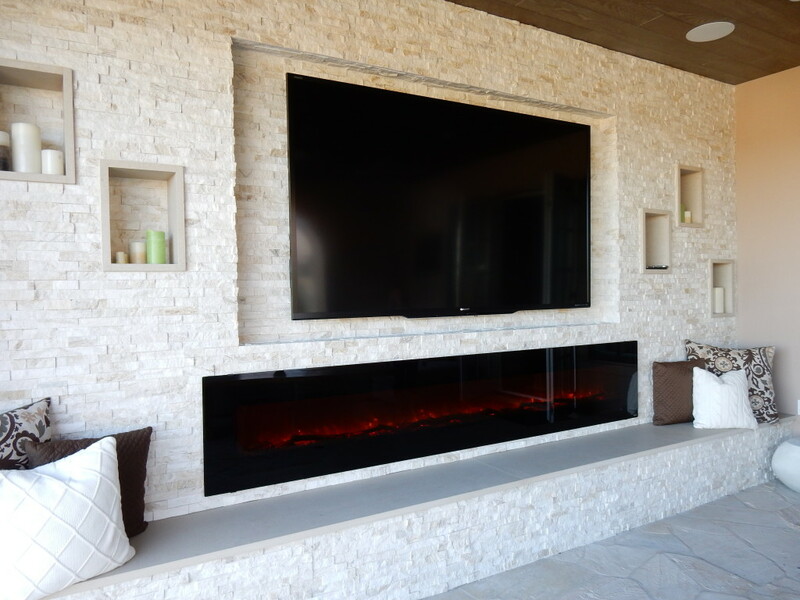 This 103 inch fireplace is one of the coolest elements in the room with features including multicolor perimeter accent lights, a 1,500 watt heater giving warmth to the space, and the most realistic fire effect from an electric fireplace. We created this bench seating below it to finish off the wall and to give the residents a place to sit and enjoy the fire. The final piece of the construction was to open up this wall entirely. As you can see from the construction post, it was closed off which obstructed the beautiful view and was just a shame. 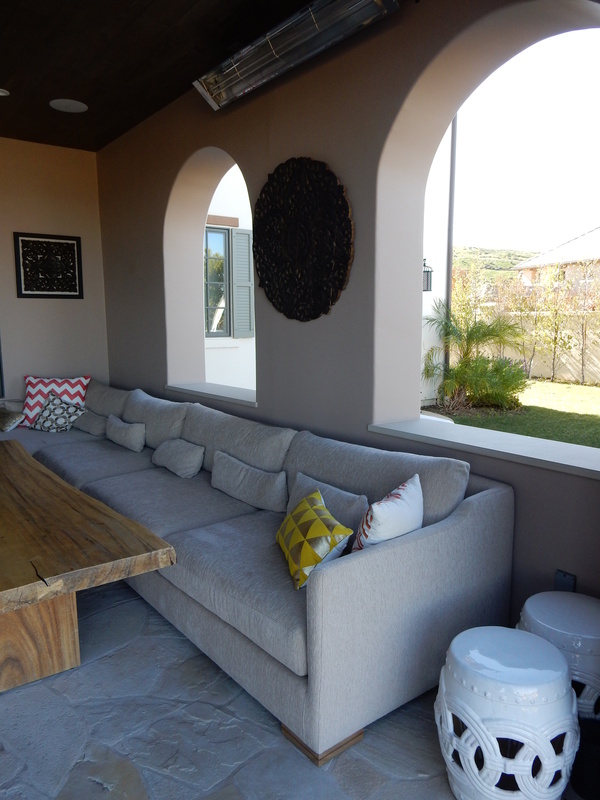 We have one more fun outdoor space to share in this Eclectic Zen home tour … coming soon! 1. 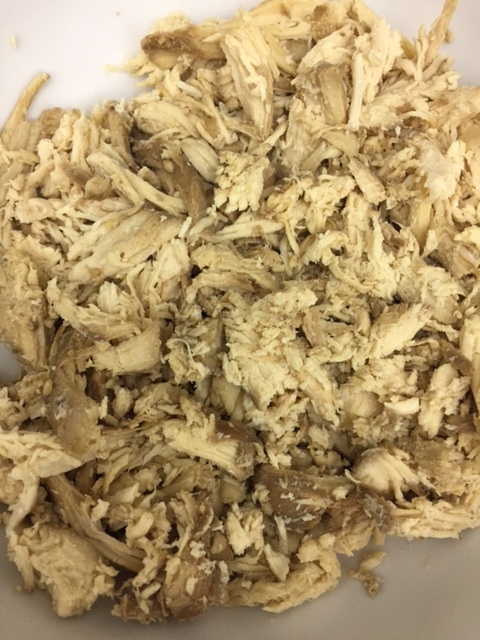 Combine in a crockpot; 3 – 4 frozen chicken breasts, 3 tablespoons soy sauce, a cup of water, 2 – 3 cloves of minced garlic, a small squeeze of lime juice, and a dollop of honey (Does anyone know the definition of dollop?). 2. Cover and let cook for 6 – 8 hours. 3. 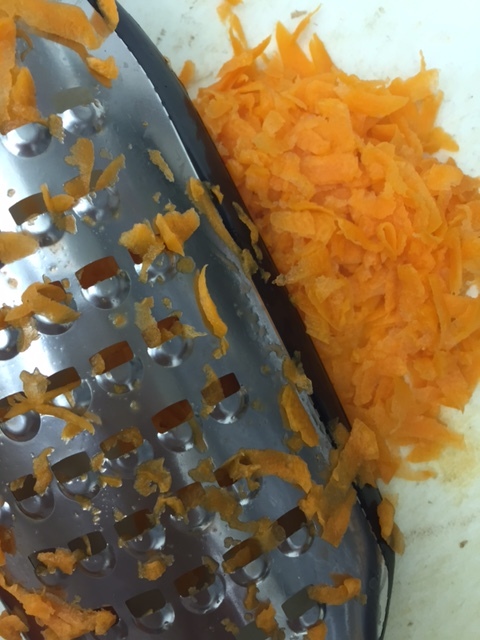 Shred the chicken into pieces and drain all juices. 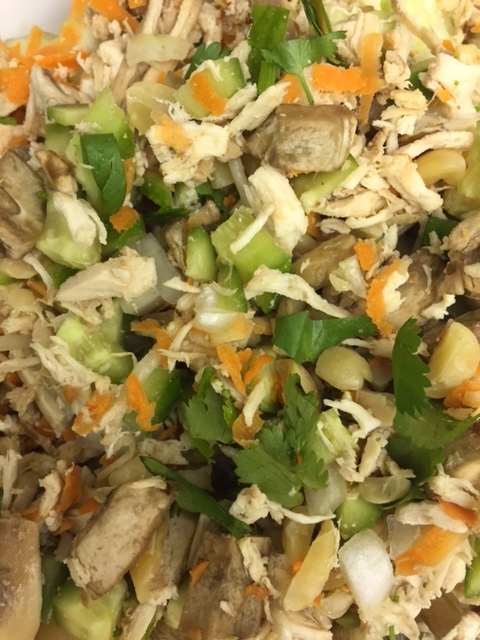 Add chopped mushrooms, shredded carrots, chopped cucumbers, cilantro, bean sprouts, sweet onion, and chopped peanuts. 4. To make a Thai peanut dipping sauce combine 1/3 – 1/2 cup peanut butter, 3 tablespoons soy sauce, 1 tablespoon chili sauce (for those who like it hot, Lauren used Sriracha), 1 tablespoon lime juice, 2 – 3 cloves of minced garlic, 1 tablespoon brown sugar, and 1 teaspoon rice vinegar. In addition, Lauren added 1 1/2 teaspoon hoisin sauce,1/2 teaspoon sesame oil and 1 teaspoon crushed peanuts. 5. 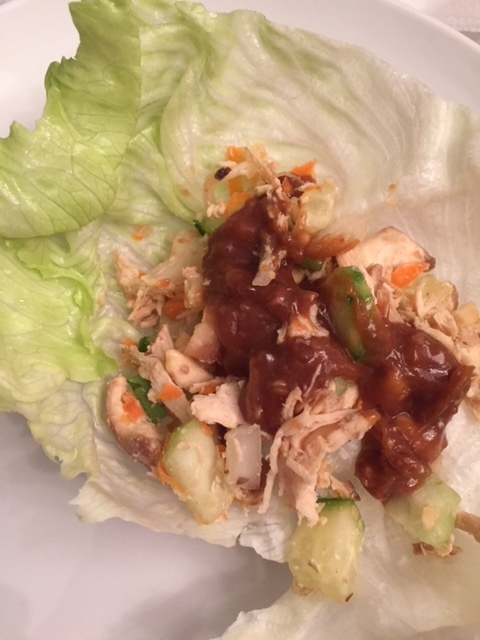 Create a lettuce wrap by using iceberg lettuce cups and filling with the chicken mixture. 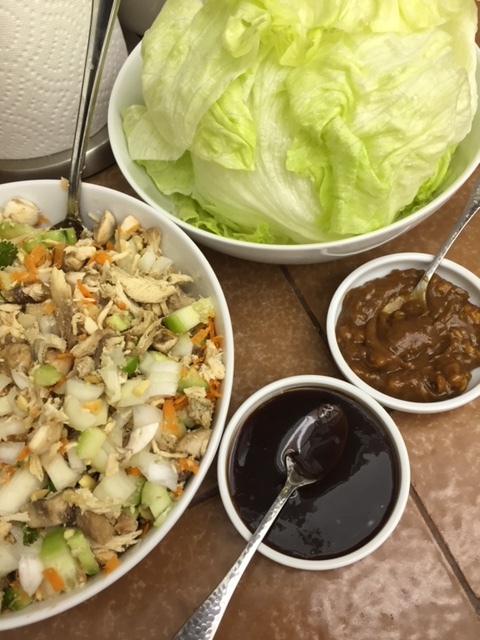 Top it all off with your Thai peanut dipping sauce or hoisin sauce and enjoy! 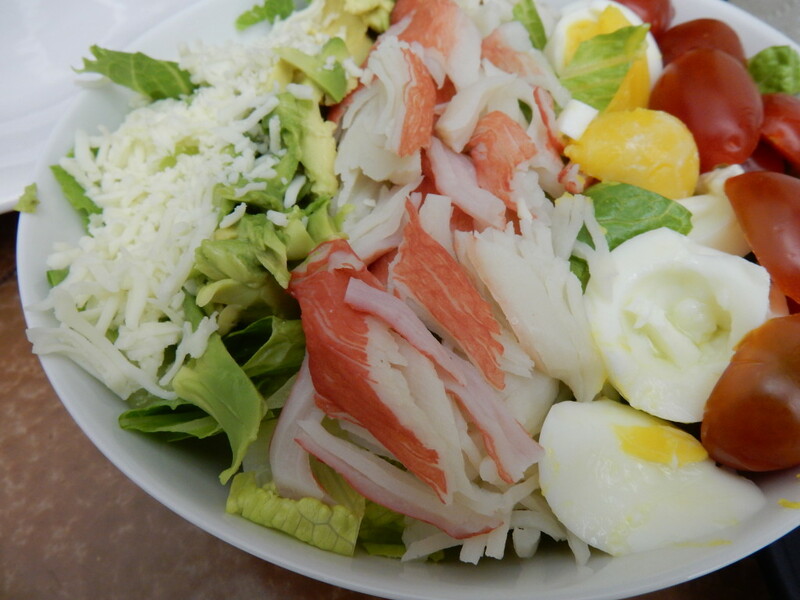 We hope you have enjoyed this edition of our weekly Food Fridays post. Sharing these recipes helps us to be innovative in creating our own recipes, and more likely borrowing them from others who know best (aka Pinterest). Do you have a favorite recipe to share? We would love to hear from you. Leave a comment below. 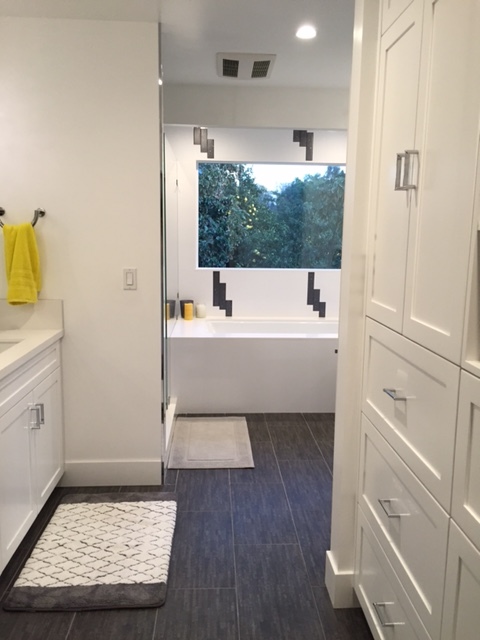 To continue with our feature from Monday, we have decided to share the next finished room in our home tour of Robyn and Joel’s house … the master bathroom. 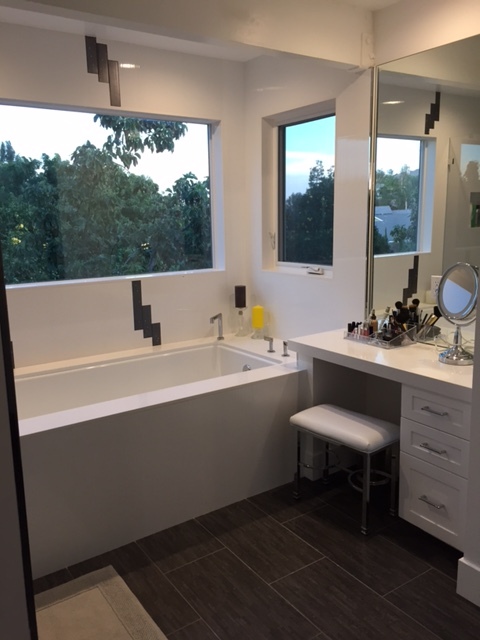 As you may remember from our previous post, Under Construction: Modern Dream Master Bathroom, everything that is now this couple’s master suite was previously their garage and the surrounding area. It is hard to believe that this is how the space started out as it has become one of the most beautiful rooms in their home. Everything in this room was laid out in a way to maximize the space. 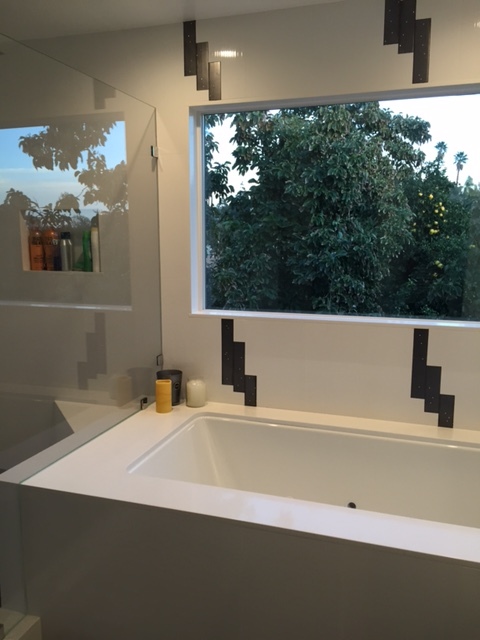 Of course, the tub was positioned to overlook the beautiful view on this side of the house. 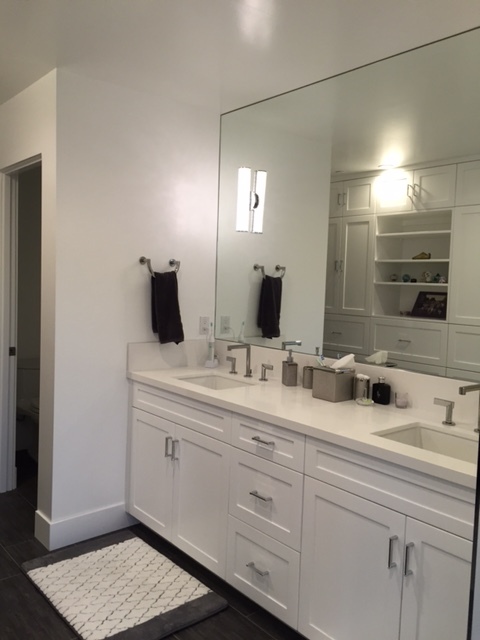 The all white cabinetry, tile, and stone selection really helped to tie everything together keeping this bathroom looking uniform and beautiful. We created this random pattern with Robyn’s favorite Swarovski crystal tile going down one wall in the shower and continued it on one wall of the bathtub as well. All of the plumbing fixtures were hand selected by Joel himself from BJ Discount (of course … only the best for his own home). 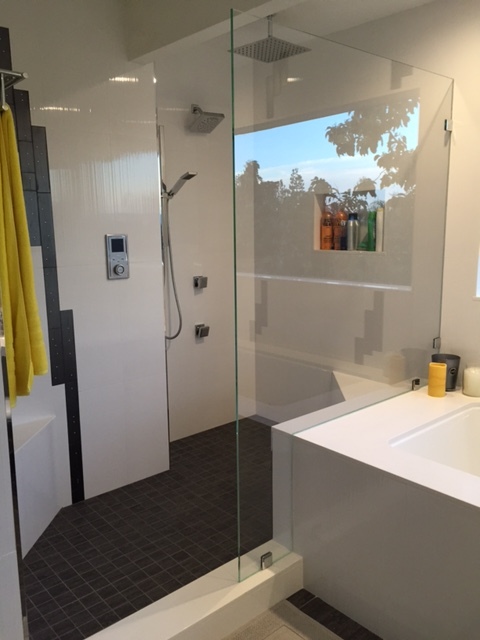 He also designed the shower, excluding the door, as it is not necessary in this layout. The temperature and water pressure are pre-set to fit the couple’s preferences. The sink area was kept very simple. Craftsman style doors and drawers with double sinks for him and her complete with space for all of their bathroom necessities. This space is made special with gorgeous crystal sconces adding a touch of glamour. Directly across from the sink is a full wall of extra closet space and storage with a small area in the center to display a few items such as cologne and perfume. 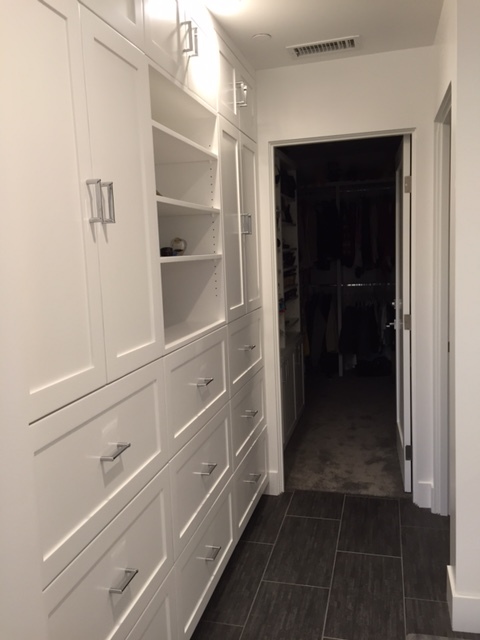 At the back of the bathroom, you can find the small water closet and Robyn’s walk-in closet. Overall this bathroom really ties in nicely with the master bedroom. Its classic colors lend themselves nicely to a bright hue every so often. 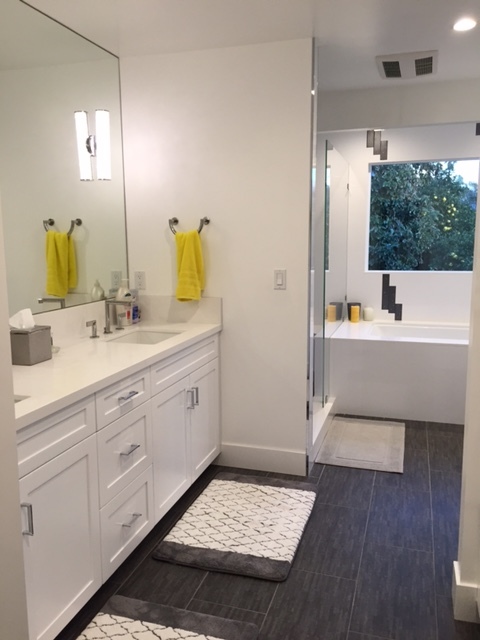 The fun pops of yellow that Robyn incorporated through towels and other decorative elements gives this space personality but makes it something that they will enjoy for years to come. We still have lots more to show from this home tour. Each and every space had a lot of thought put into it and has undergone a major transformation. This has been a project that has been near and dear to Lauren’s heart. Since its completion, she has stayed at this house several times with her family. Each time getting to enjoy something new that it has to offer. Although the construction and all of the work was not the easiest for Robyn and Joel while they were in the process, this home (and especially the master suite) will be something they will get to enjoy for years to come.